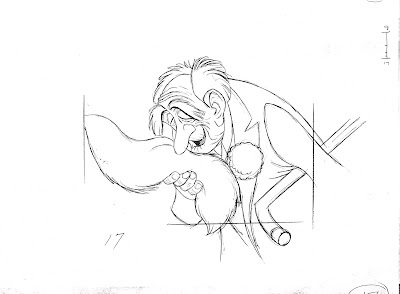 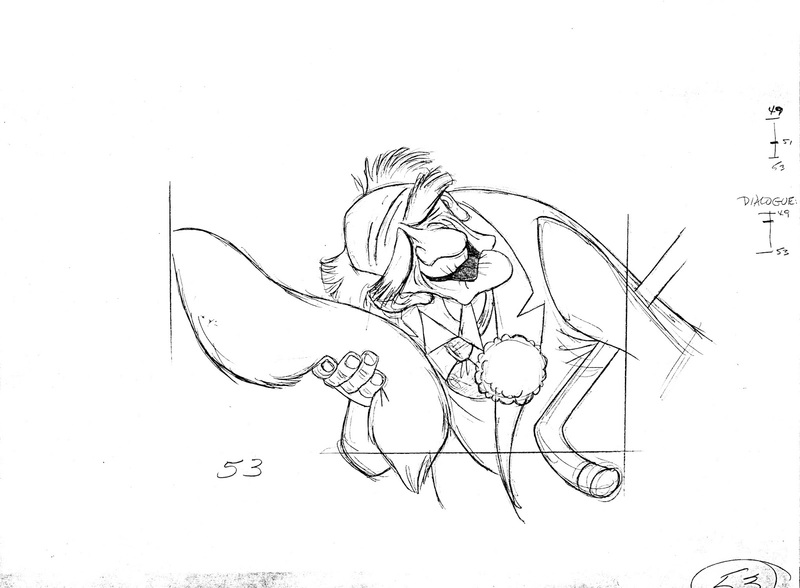 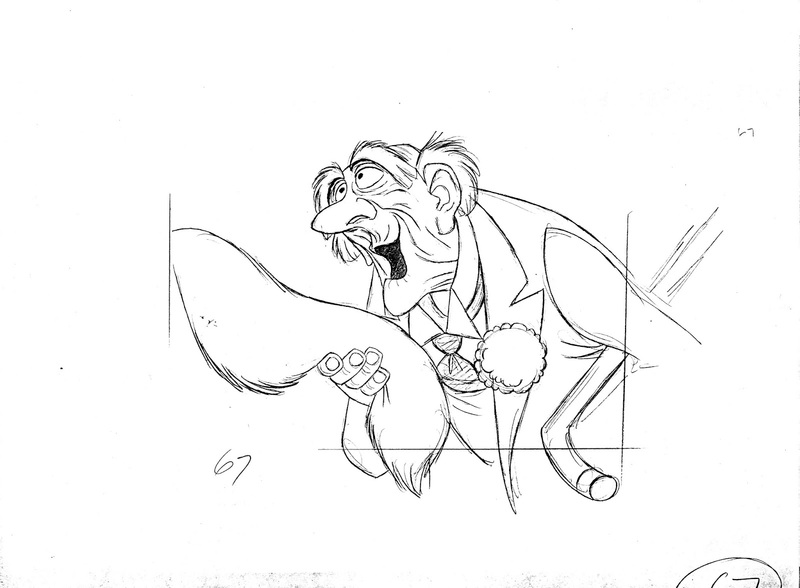 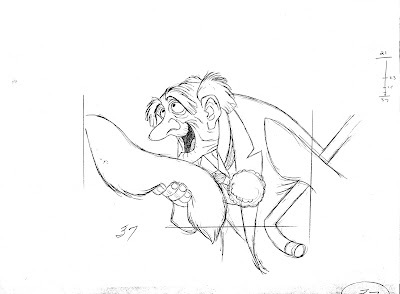 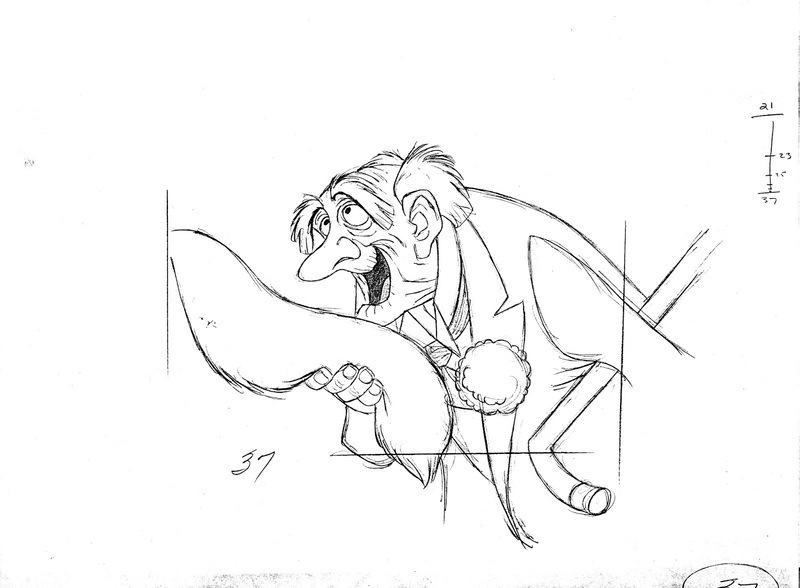 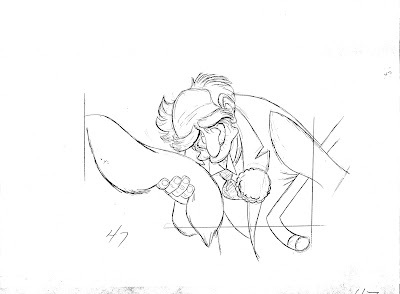 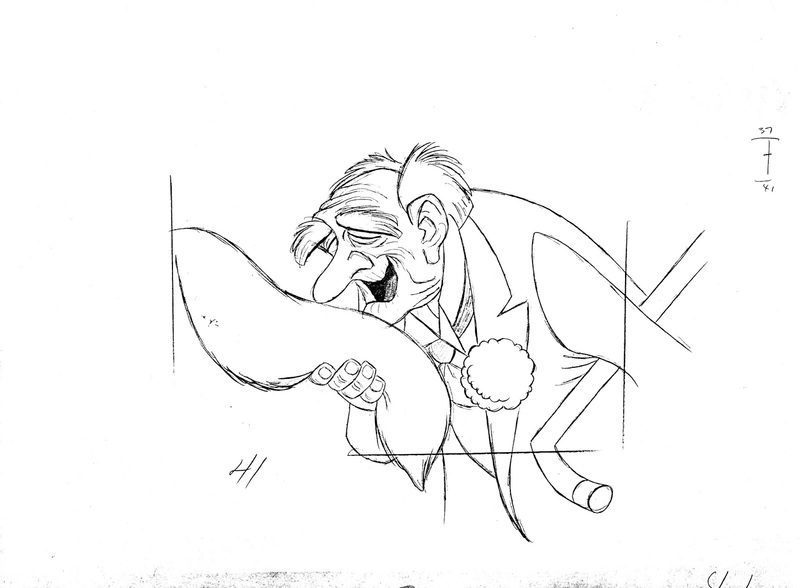 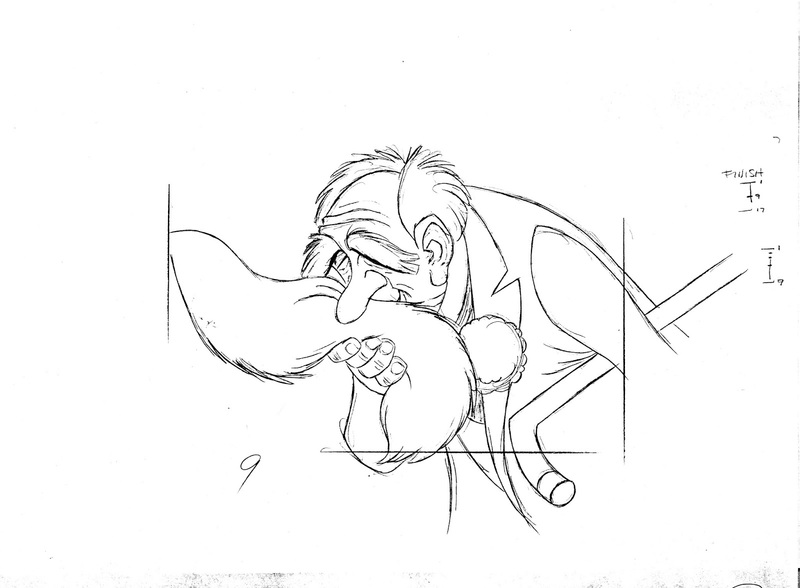 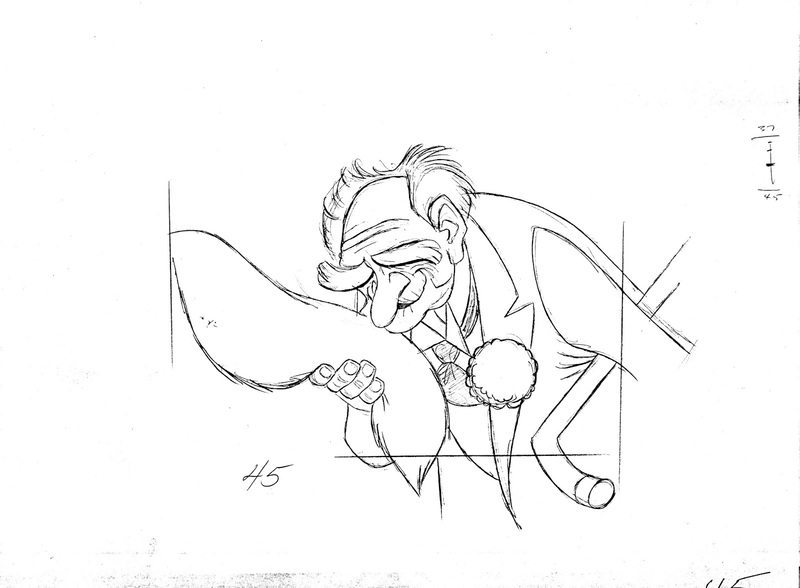 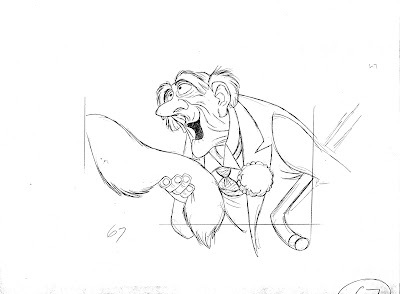 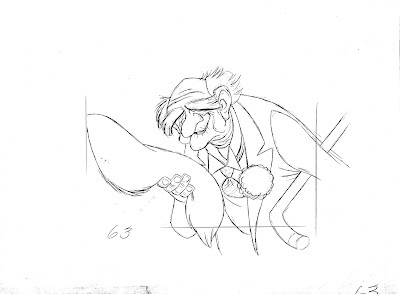 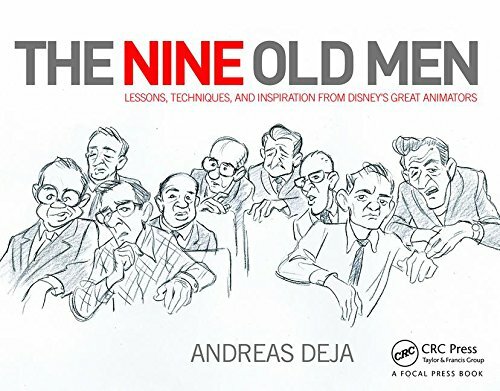 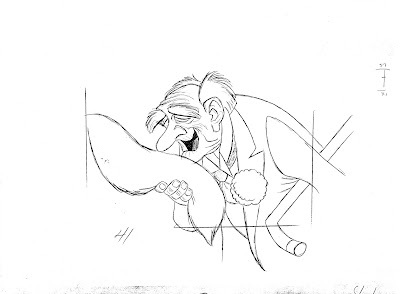 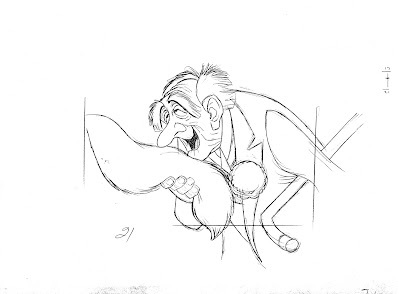 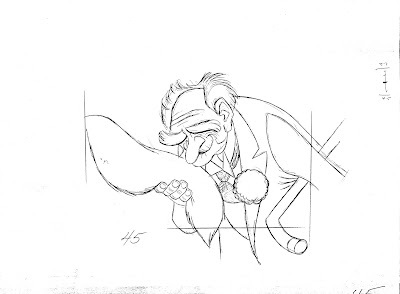 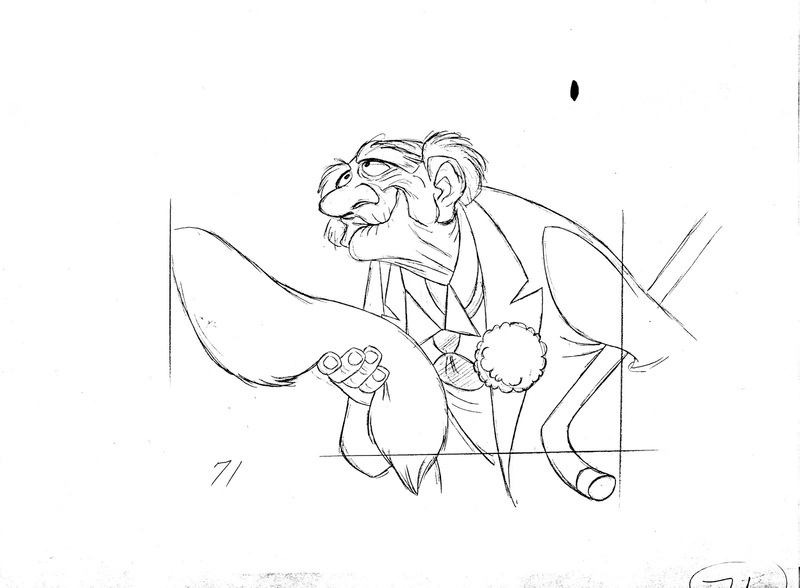 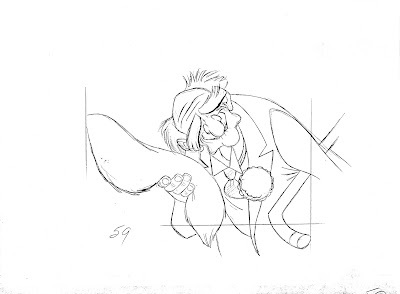 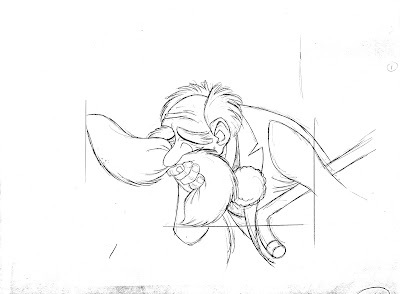 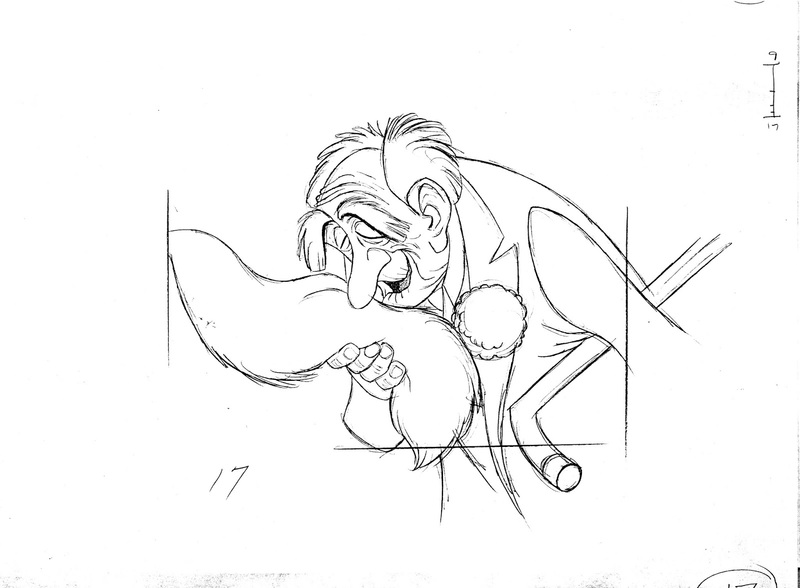 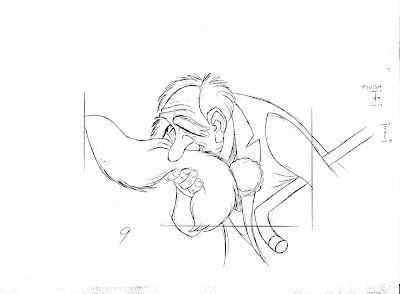 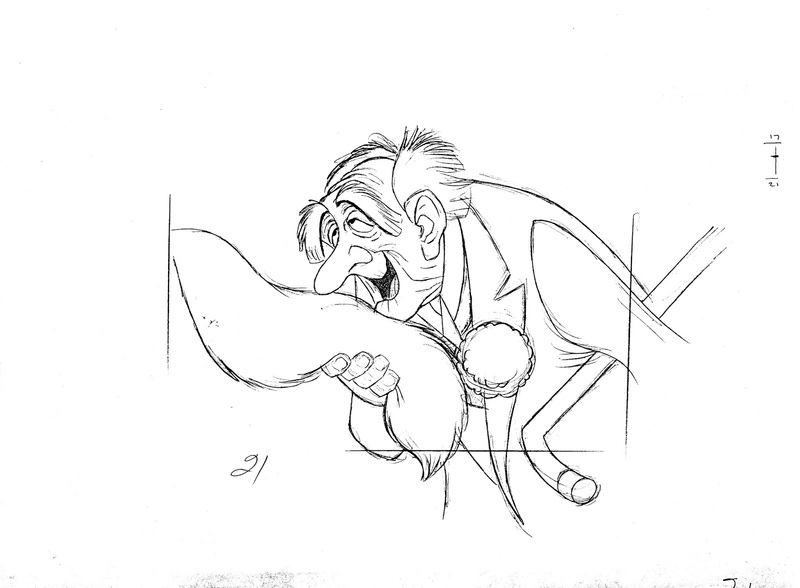 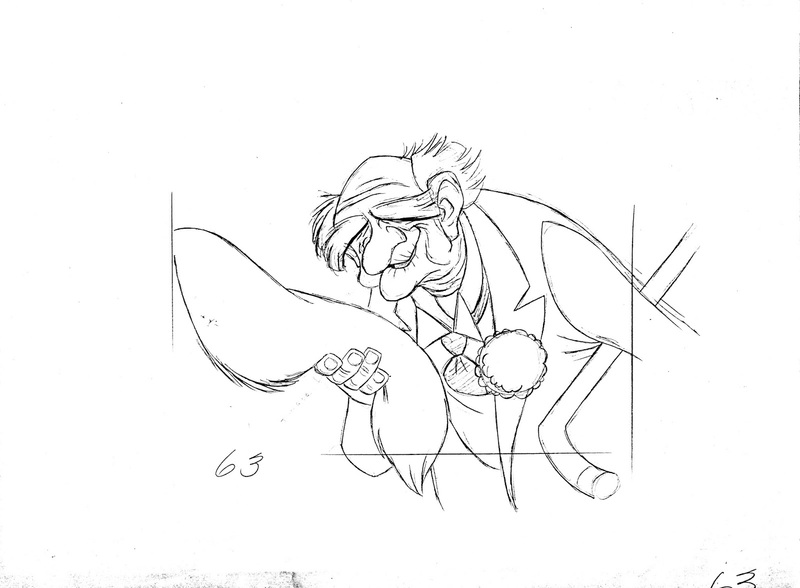 Milt Kahl animated this scene with Georges Hautecourt from The Aristocats. 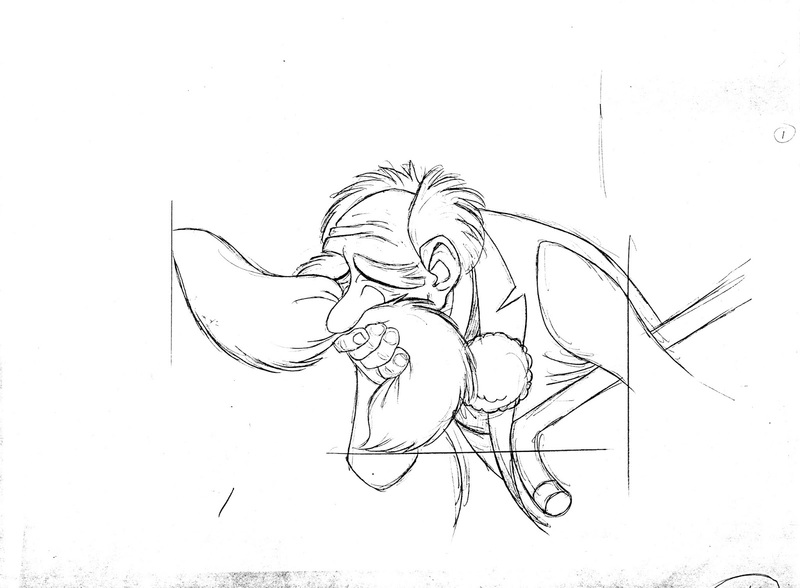 This close up is a great example of loose, moving flesh during a dialogue scene. 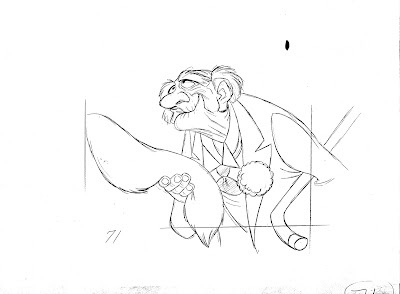 Hautecourt thinks he is holding Madame Bonfamille's hand as he comments: "Ah....still the softest hands in all of Paris." 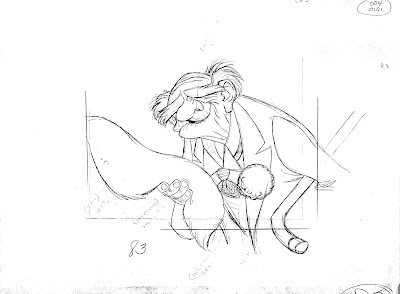 Of course he has grabbed Duchess' tail instead. 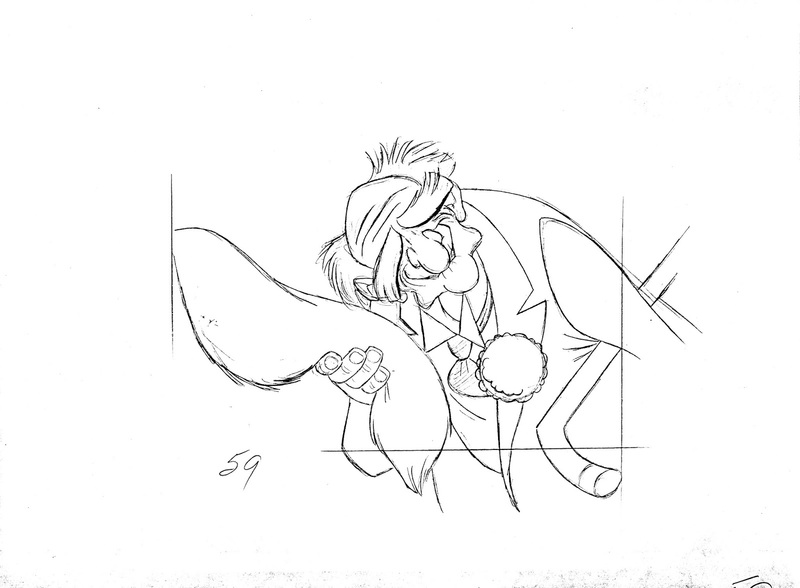 I love how far his face is sunken into the cat's tail, before he inhales to say the line. 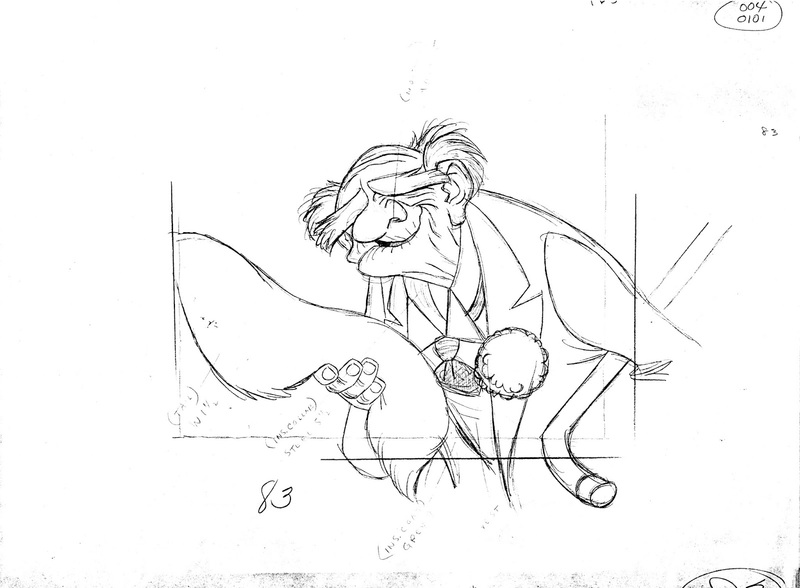 I will be at CTN this weekend. 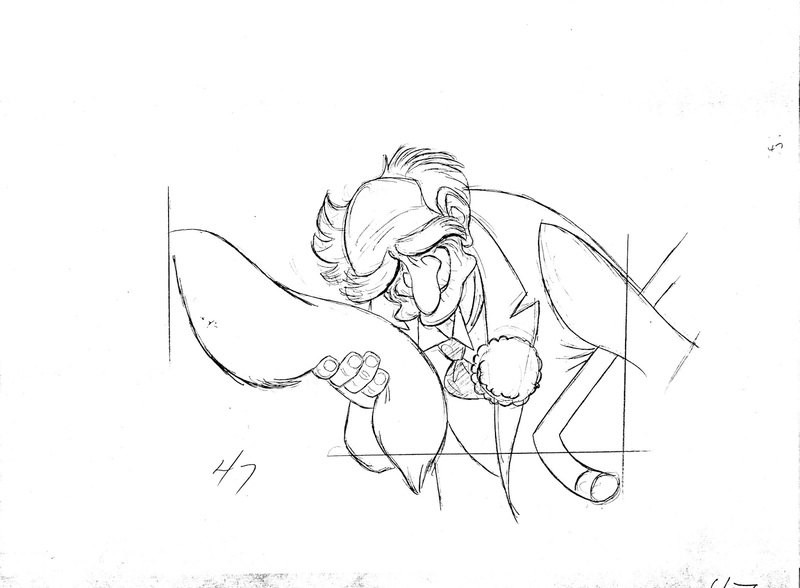 Feel free to approach me anytime with your questions.